Baseball Hall of Famer and San Francisco Giants legend Orlando Cepeda will welcome the two previous managers of Team Japan's World Baseball Classic Championship teams, Sadaharu Oh (2006) and Tatsunori Hara (2009), to AT&T Park for a ceremonial first pitch on Sunday night, March 17, in San Francisco. 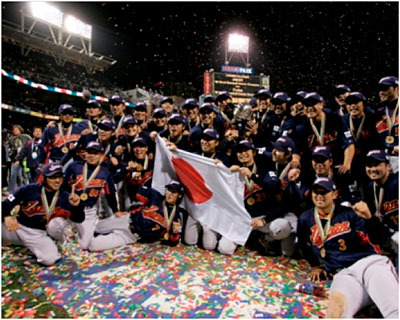 The Japanese managers will throw out the ceremonial first pitches prior to the first World Baseball Classic Semifinal Game between the two-time defending tournament champions Japan against Puerto Rico at 6 p.m. PT. Sadaharu Oh played first base for Japan’s Yomiuri Giants for 22 years, establishing the all-time professional baseball record with 868 home runs and helping to lead the Giants to nine straight Japan Series titles from 1965-73. He won two Triple Crowns and had 2,170 career RBI. Oh led the league in home runs 15-times, was selected as the league’s Most Valuable Player on nine occasions, and won nine Gold Glove Awards for defensive excellence. After his playing days, Oh managed in the Nippon Professional Baseball League until 2008, winning Japan Series titles in 1999 and 2003. He was inducted into the Japanese Baseball Hall of Fame in 1994. Tatsunori Hara played third base for the Yomiuri Giants during his 15 year professional career where he was selected to 11 All-Star teams. He finished his career hitting .279 with 1,675 hits and 1,093 RBI. He was named the Rookie of the Year in the Central League in 1981 and the MVP the following year. Hara currently serves as the manager of the Yomiuri Giants where he led the team to three Japan Series Championships including in 2012. Orlando Cepeda was a seven-time All-Star, a unanimous NL Rookie of the Year in 1958 with the San Francisco Giants and a unanimous NL MVP in 1967 with the St. Louis Cardinals. A native of Puerto Rico, the Baby Bull was a lifetime .297 hitter and was inducted into the Hall of Fame in 1999.